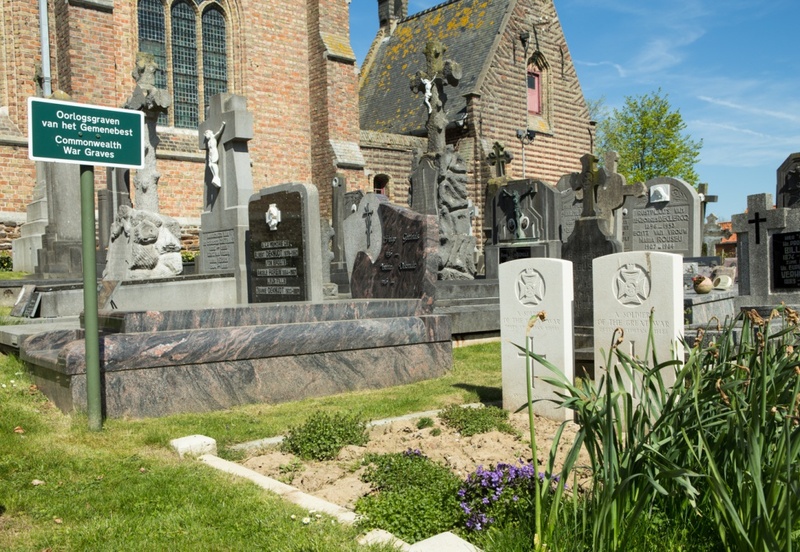 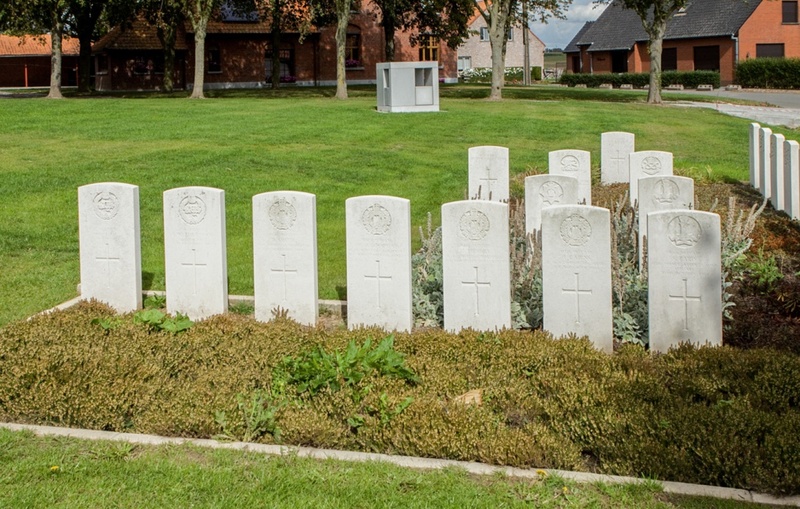 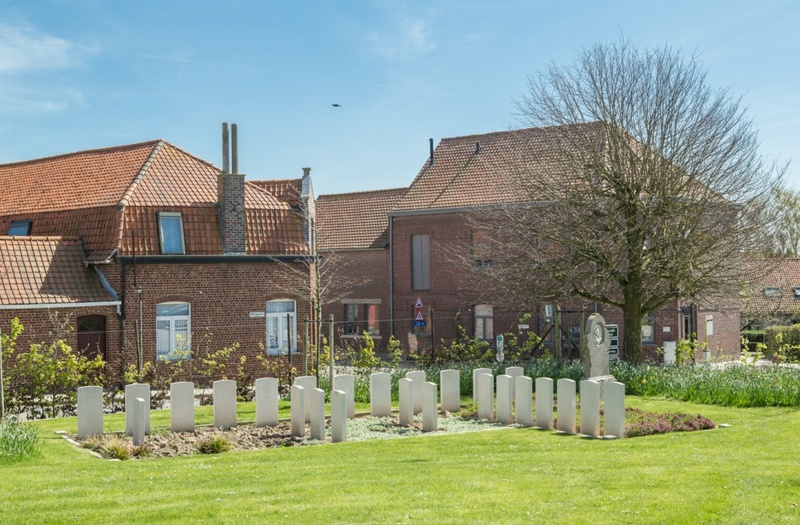 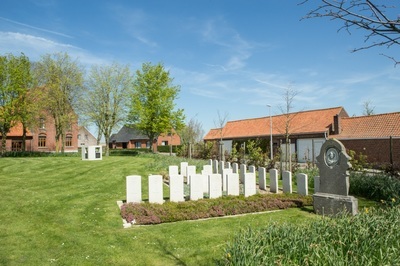 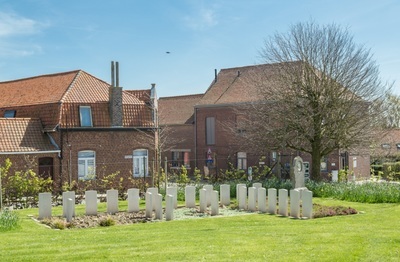 Wulvergem Churchyard is located 13 Km south of Ieper town centre, on a road leading from the Rijselseweg N365, which connects Ieper to Wijtschate, Mesen and onto Armentieres. 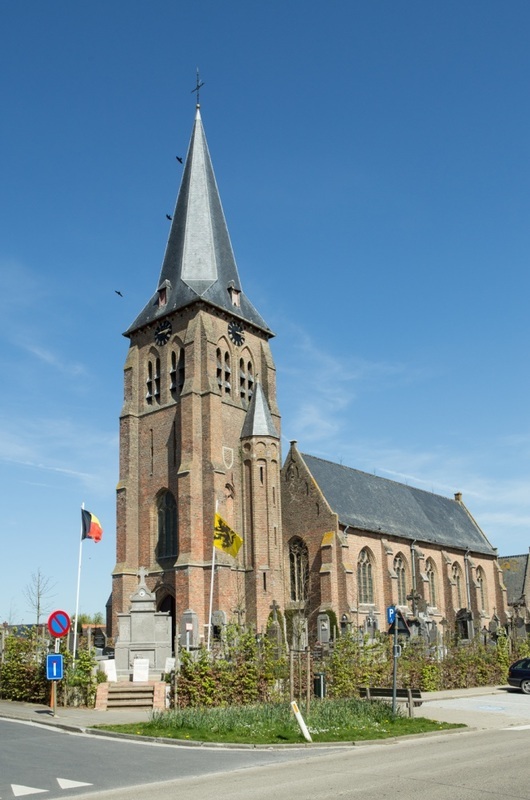 On reaching the town of Mesen the first right hand turning leads onto Mesenstraat. 3 Km along Mesenstraat lies the village of Wulvergem. The churchyard lies next to the village church on the Dorpstraat. Wulvergem was in German hands from 14 April 1918 to the following 2 September, when the it was entered by the 30th Division. 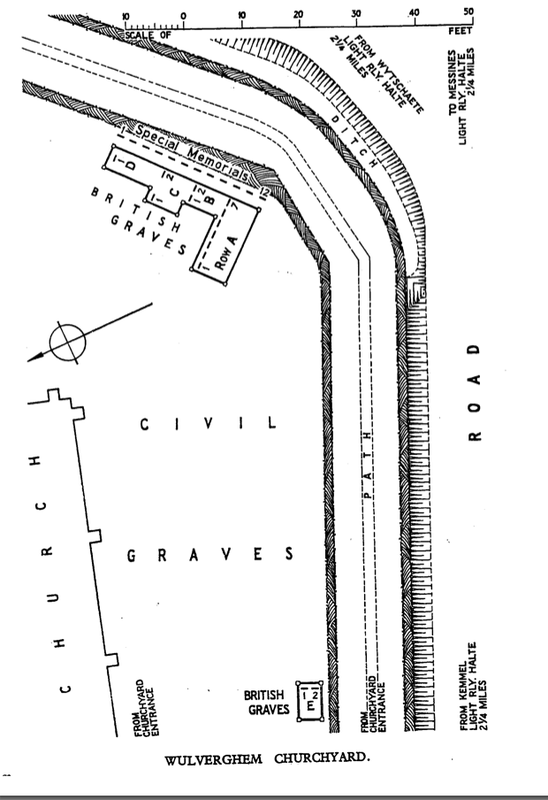 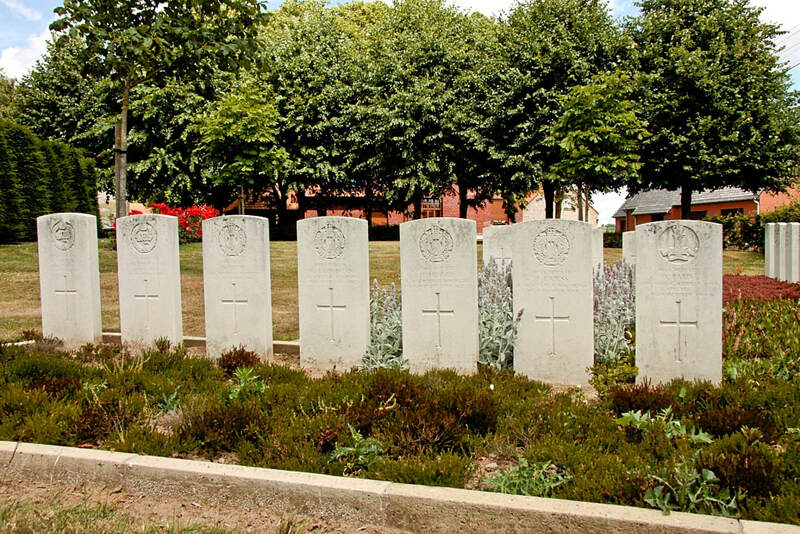 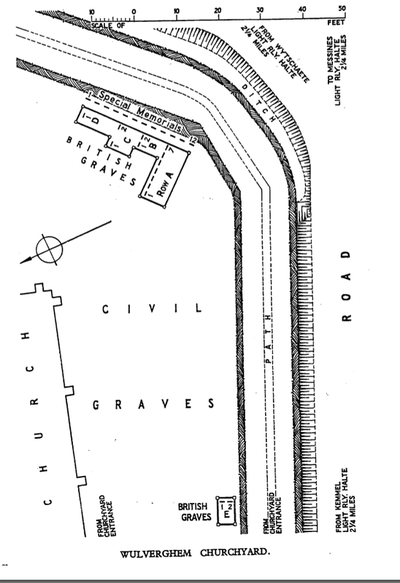 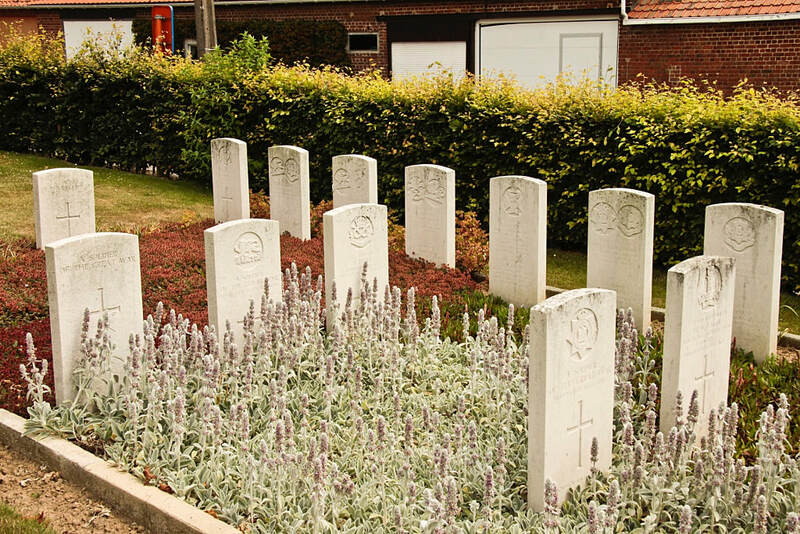 The churchyard was used for Commonwealth burials by fighting units from November 1914 to April 1915. 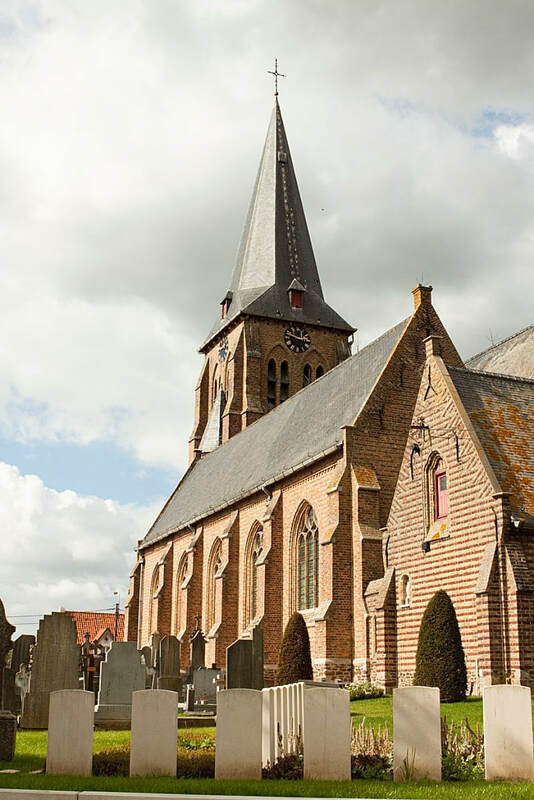 The church, ruined in the war, was rebuilt in 1925. 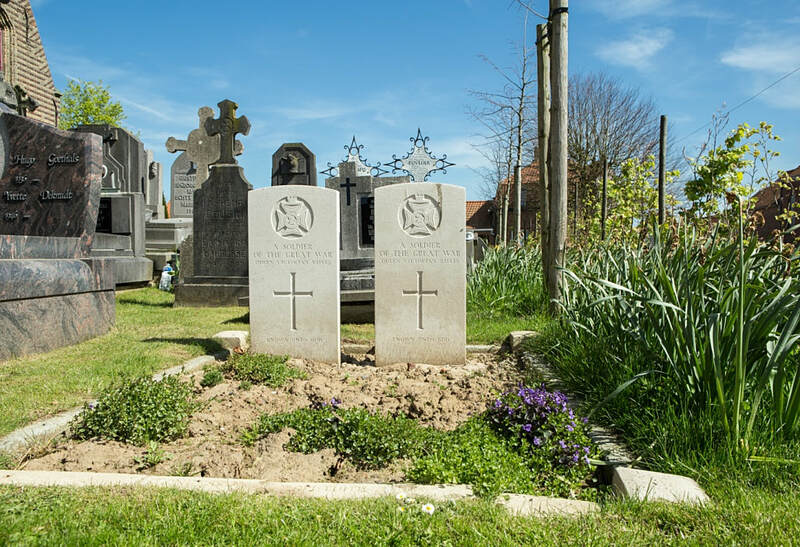 The churchyard contains 38 Commonwealth burials and commemorations of the First World War. 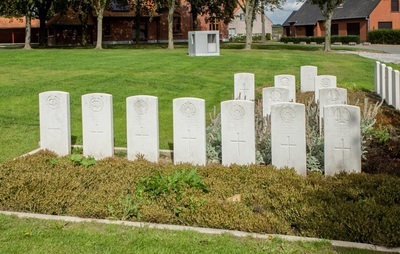 Six of the burials are unidentified and 23 graves destroyed by shell fire are now represented by special memorials. 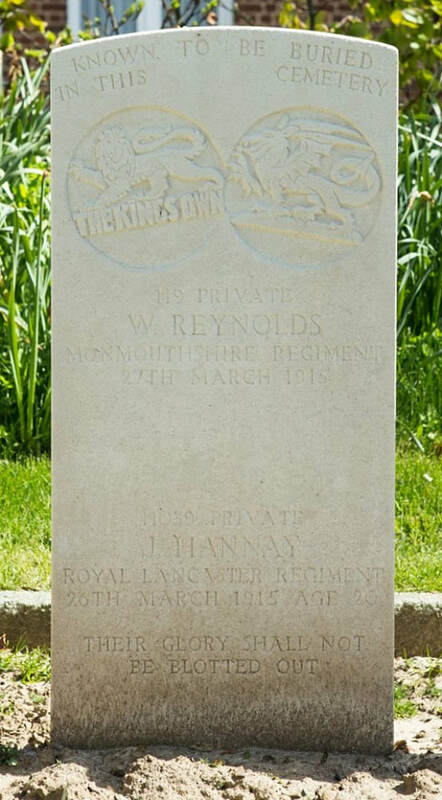 3rd March 1915, aged 19. 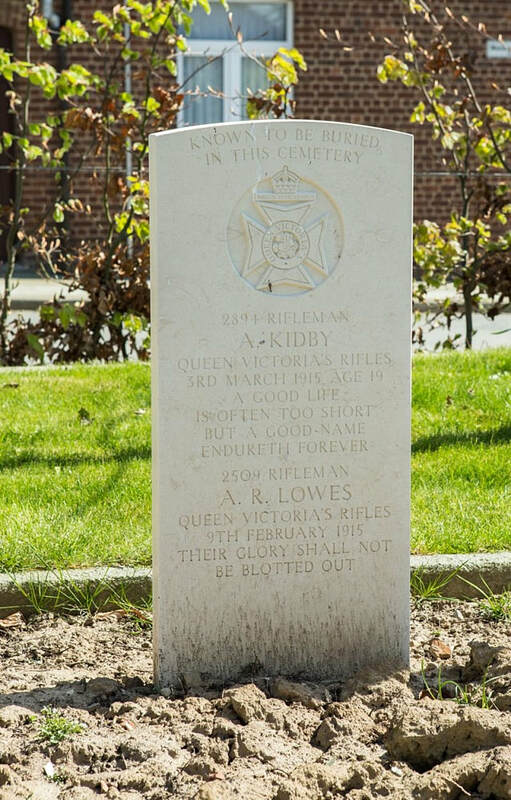 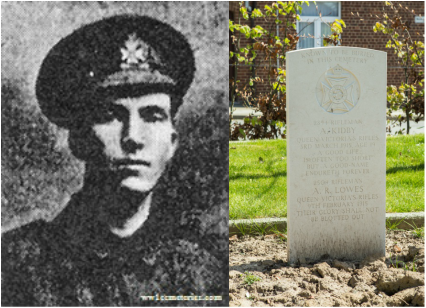 Son of Frederick A. and Mary Kidby, of 19, Herfford Rd., Hoddesdon, Herts.